Saltaire, West Yorkshire, is a complete and well-preserved industrial village of the second half of the 19th century. Its textile mills, public buildings and workers' housing are built in a harmonious style of high architectural standards and the urban plan survives intact, giving a vivid impression of Victorian philanthropic paternalism. Saltaire est un village industriel entier et bien préservé datant de la seconde moitié du XIXe siècle. Ses fabriques de textiles, ses édifices publics et ses logements ouvriers sont bâtis dans un style harmonieux, d'une grande qualité architecturale, et le plan urbain d'ensemble reste intact, offrant une image vivante du paternalisme philanthropique de l'époque victorienne. سالتير قرية صناعية كاملة ومحفوظة بصورة جيدة يعود تاريخها الى النصف الثاني من القرن التاسع عشر، وقد شيدت مصانع الأقمشة وأبنيتها العامة ومساكن عمالها بأسلوب متناغم يتيمز بجودة معمارية عالية، بينما لا يزال المخطط المدني على حاله يعكس صورة حية للأبوية المحبة للبشر في العصر الفيكتوري. Солтейр в Западном Йоркшире – это комплексный и хорошо сохранившийся промышленный поселок второй половины XIX в. Его текстильные фабрики, общественные здания и жилые дома рабочих построены в гармоничном стиле, на высоком архитектурном уровне. Планировка поселка осталась ненарушенной, что позволяет получить живое впечатление о таком явлении, как викторианский филантропический патернализм. Situado en el oeste del condado de Yorkshire, Saltaire es un poblado industrial construido en la segunda mitad del siglo XIX que se ha conservado íntegro y en buen estado. Sus fábricas textiles, edificios públicos y viviendas obreras destacan por su estilo armonioso y gran calidad arquitectónica. Su trazado urbanístico ha permanecido intacto en su conjunto y ofrece una imagen vívida de la aplicación de las ideas del paternalismo filantrópico de la época victoriana. Saltaire in West-Yorkshire is een compleet en goed bewaard gebleven industrieel dorp uit de tweede helft van de 19e eeuw. De textielfabrieken, openbare gebouwen en arbeiderswoningen zijn gebouwd in een harmonieuze en hoogwaardige architectonische stijl, met een intact stedenbouwkundig plan. Hierdoor geeft Saltaire een levendige indruk van het Victoriaanse filantropisch-paternalisme. De huizen gebouwd tussen 1854 en 1868 zijn mooie voorbeelden van 19e-eeuwse hiërarchische arbeiderswoningen en de molen is een imposant gebouw in Italiaanse stijl. Aan het eind van het dorp is het Roberts Park, een aangelegde open ruimte van zes hectare met een cricketveld, promenade, muziektent en faciliteiten om te zwemmen en varen. Saltaire is an exceptionally complete and well preserved industrial village of the second half of the 19th century, located on the river Aire. Its textile mills, public buildings, and workers' housing are built in a harmonious style of high architectural quality and the urban plan survives intact, giving a vivid impression of the philanthropic approach to industrial management. The industrial village of Saltaire is an outstanding example of mid 19th century philanthropic paternalism, which had a profound influence on developments in industrial social welfare and urban planning in the United Kingdom and beyond. The architectural and engineering quality of the complete ensemble, comprising the exceptionally large and unified Salt's Mill buildings and the New Mill; the hierarchical employees' housing, the Dining Room, Congregational Church, Almshouses, Hospital, School, Institute, and Roberts Park, make it outstanding by comparison with other complexes of this type. Saltaire provided the model for similar developments, both in the United Kingdom and elsewhere including in the USA and at Crespi d'Adda in Italy. The town planning and social welfare ideas manifested in Saltaire were influential in the 19th century garden city movement in the United Kingdom and ultimately internationally. Saltaire testifies to the pride and power of basic industries such as textiles for the economy of Great Britain and the world in the 19th and early 20th centuries. Criterion (ii): Saltaire is an outstanding and well preserved example of a mid 19th century industrial town, the concept of which was to exert a major influence on the development of the "garden city" movement. Criterion (iv): The layout and architecture of Saltaire admirably reflect mid 19th century philanthropic paternalism, as well as the important role played by the textile industry in economic and social development. The integrity of Saltaire as a model industrial village is almost total. The boundary of the property coincides with the extent of Titus Salt's original development: the model village and its associated buildings, the majority of the mill complex and the Park. Some buildings (representing only 1% of the original buildings) were demolished in the past but those existing at the time of inscription and the layout of the complex are still intact. Mill machinery was removed after industrial activities ceased in the mid-1980s. There are limited opportunities for new development within the site. Beyond the site's boundaries, development has surrounded the property to the east, south and west for the last century, with the remnant Aire river landscape to the north. An intensive programme of sensitive rehabilitation and conservation of the entire complex has meant that its attributes - form and design, materials and substance, and function (in terms of a living community) - continue to thrive and express its Outstanding Universal Value. The original rural river valley setting has gradually disappeared over the last one hundred years but significant views remain. Given that part of Salt's original intention was to locate Saltaire in a healthy environment, the buffer zone is important in this respect. The entire property is protected by the UK planning system with World Heritage status being a key material consideration that planning authorities must take into account when considering applications. 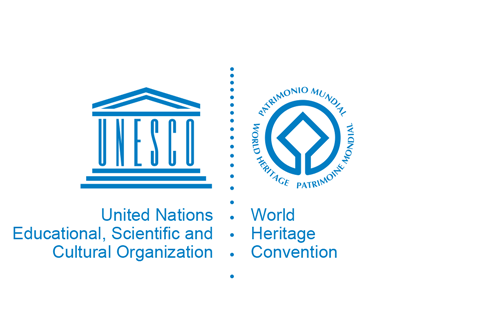 In addition planning authorities are encouraged to include policies for the protection of World Heritage in their statutory plans and frameworks. The City of Bradford Metropolitan District Council's Revised Unitary Development Plan includes specific policies to protect the property and its buffer zone. The whole property is a Conservation Area under the provisions of the Planning (Listed Buildings and Conservation Areas) Act 1990 Nearly every building and structure within the area is listed under the provisions of the Planning (Listed Buildings and Conservation Areas) Act (1900), and Roberts Park is designated Grade II in the Register of Parks and Gardens of Special Historic Interest. All these complementary forms of statutory protection require authorisation by the local planning authority for any form of development. There is an appeal procedure against refusal of consent operating at central government level. The City of Bradford Metropolitan District Council leads the management of the property, which has a detailed management plan currently under review. Since inscription a Designed and Open Spaces Management Plan has been developed. This has informed the restoration of Roberts Park. There is a need to ensure that development in the buffer zone respects the surviving landscape setting of the property.